시라쿠스, 이탈리아의 B&B 글로베트로테르 시라쿠사 | 호스텔월드에서 예약하세요. 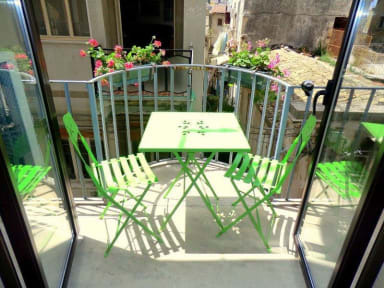 The B&B Globetrotter Syracuse is located in a stunning corner of Ortigia Island, the town嚙編 historical center. We are but 200m away from the Duomo Piazza, on the second floor of a 20s style building on the enchanting Matteotti main street; a convenient area for shopping in the most exclusive boutiques in town. We are very easy to find by foot, alternatively by a shuttle service generously provided by the Talete parking, located 400m away from our BandB which is free until 9pm, and only a mere euro from then on. In our Bed and Breakfast at Syracuse, you will be welcomed by a multi-lingual and professional staff alike to one found in a hotel but for smaller budgets and the kind of informality found in a property. drinks, chats and a map and all the information necessary for your discovery of Siracusa, aswell as Pantalica, Vendicari, Etna, Taormina and Catania.